Sr. Celestine Daly used to teach in St. Joseph's Mercy Primary School. She has spent the last 30 years working on the missions in Zambia. 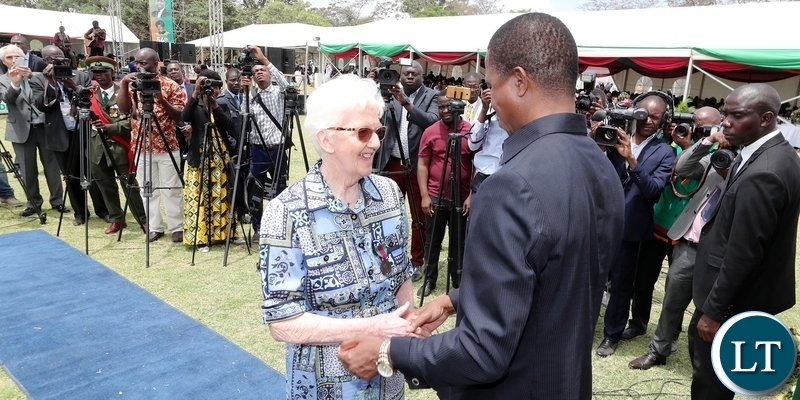 Sr. Celestine was recently awarded an 'insignia of honour' by President Edgar Lungu (President of Zambia) in recognition of the contribution she has made to education in Zambia. We send our warmest congratulations and best wishes to Sr. Celestine from all of the staff and children in St. Joseph's Mercy Primary School.